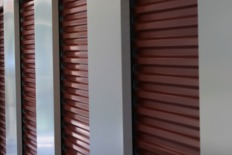 StayLock in Coloma, MI is the most convenient and affordable storage facility near Lake Michigan Beach, Benton Heights, Watervliet and several other surrounding areas of Coloma, MI. StayLock in Coloma, MI is the most convenient and affordable storage facility near Lake Michigan Beach, Benton Heights, Watervliet and several other surrounding areas of Coloma, MI. We’re not far away from Wesco Gas Station and Salem Lutheran Church. Take a look at our unit availability and prices whenever you’re ready to get started. Whether you need a climate controlled unit, standard or interior unit, StayLock in Coloma, MI has everything you need. Our climate controlled units protect each of your items from the heat and cold throughout the year. If you need a standard unit, you’ll be able to drive your vehicle right up to your unit door to start loading and unloading. Be sure to rent an interior unit if you just need a small space to store seasonal items. These units are inside so you won’t have to deal with the rain or other uncomfortable weather conditions during your visits. No matter which unit you rent, they’ll be under 24-hour video surveillance.We have truck rentals available. Just call the facility and ask a manager for details.